We are glad to announce the Building Simulation 2019 Conference, which will take place in Rome, September 2nd-4th 2019, at the Angelicum Congress Centre. Building Simulation is the premier international event in the field of building performance simulation. An exceptional opportunity to share information about simulation tools and applications, present and get updates about recent achievements and new developments in the research, illustrate case studies and share best practices, join special programs for students and practitioners, network during session and social programs. This entry was posted in Events, News on July 18, 2018 by admin. 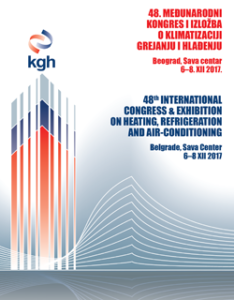 The 49th International HVAC&R Congress and Exhibition is to be held at the end of jubilee year of the Union of Engineers and Technicians of Serbia. The highest civil decoration, Sretenjski orden, was assigned to all of us – members of this large and important organization. The Serbian HVAC&R Society is facing another jubilee – next year we will organize the 50th congress and exhibition. These anniversaries are stimulating us to organize this year’s congress with special themes, papers and guests from Serbia and abroad. The selected themes correspond to actual demands in world and in Serbia. This entry was posted in Events, News on June 8, 2018 by admin. This entry was posted in Events, News on October 31, 2017 by admin. This entry was posted in Events on December 7, 2016 by admin. Sava Centar, Belgrade, 30th November – 2. December 2016. 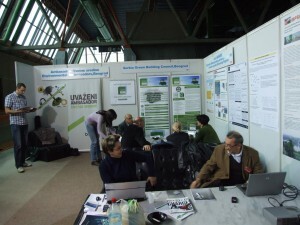 The PROGRAM dedicated to SOFTWARE, INFORMATION TECHNOLOGIES AND GREEN PROGRAMS AND NETWORKS was successfully organized for the first time in 2010 and, therefore, the Organizer decided to include this new program as an integral part of the Congress and its accompanying exhibition, since the role of software and IT-s in all the fields of professional engineering and scientific work is irreplaceable today. Without software and IT, the approach to energy optimization, the use of renewable energy sources – sources of the permanent dynamics of availability, will not be possible. THE ROLE OF GREEN PROGRAMS AND NETWORKS may be crucial in the transfer of information and education of investors and users, i.e. in recognizing and identification of exemplary and valuable designs and solutions, thus contributing to wide application of energy efficient, environmentally clean and sustainable HVAC & R systems – integrally green buildings. And, furthermore, their role is to recognize, identify and promote valuable projects that can be set as an example. This section of the exhibition will gather designers, constructors, manufacturers, scientists, company representatives – software and IT creators and green program and network proponents, who will meet with potential future activists of the Programs-Networks, NGOs and volunteers, whose precious commitment to the common good and welfare of others – of all today’s and future generations in the whole world – is increasingly important and respect worthy. Integrated design and construction of sustainable healthy buildings and energy refurbishment of the existing urban building sector in order to achieve sustainability and adaptability of urban systems to climate change will be the main and integral topic of the congress. Since the integrated approach implies that from the very first moment of the architectural-conceptual consideration, and approach to the design, an essentially close communication is established between urban planners and architects, civil engineers, HVAC & R engineers and other mechanical engineers, electrical and electronics engineers, environmentalists, ICT professionals and others, this year’s HVAC & R CONGRESS IS INVITING ALL THE PROFESSIONS OF BUILDING CONSTRUCTION ENGINEERING AND BUILDING AND MUNICIPAL SERVICES to make a huge step forward, in an interdisciplinary and multidisciplinary dialogue, in their approach to realize a DREAM – CONSTRUCTION OF SUSTAINABLE HEALTHY BUILDINGS AND ZERO CO2 EMISSION SETTLEMENTS AND CITIES. In order to archive the aim of this Congress, i.e. to spread knowledge, technology and techniques that enable us to construct the Zero CO2 emission settlements and cities, in addition to the presentation of the most recent achievements in the field of HVAC & R and energy supply systems, especially those using renewable energy sources, as well as all the aspects of the integrated design of new and re-design of the energy refurbishment of the existing buildings, it is necessary to obtain harmonization of the balances of energy flows in buildings (energy consumers, Zero energy buildings and Energy+ buildings) and electricity distribution grid and utilities power supply systems. Methods, technologies and techniques of integrated design, construction, audit, testing, monitoring and smart operation of energy efficient sustainable healthy buildings and energy refurbishment of the existing urban building sector for the purpose of attaining sustainability, security and adaptability of urban systems to climate change and resilience to weather extremes as well as to exposures to the risks of terrorism, political extremes, uncontrolled migrations and immigrations – these will be the main topics of this year’s congress and exhibition. BEYOND THE VISION – Monitoring – balancing energy flows and energy efficiency of solar houses of Series of EU Solar Decathlons held in Madrid and Paris showed that all 20 houses archived impressive energy balance (generating 2 – 4 times more electricity than using and sending surplus to the GRID) connected in the Schneider’s SMART GRID. Similar results are obtained by the longest series of Solar Decathlons in US and the one in 2013 organized in China. For INFORMATION ON THE EXHIBITION AREA intended for SOFTWARE, INFORMATION TECHNOLOGIES, GREEN PROGRAMMES AND SMART GRIDS i.e. sketches, data on equipment and prices, please contact Mr Dragomir Samšalović, telephone no. 323 0041 or 065 328 29 20. This entry was posted in Events, News on December 7, 2016 by admin. 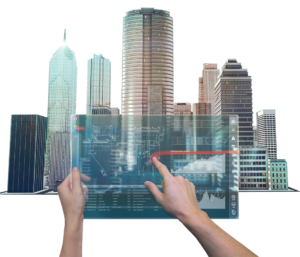 Building Simulation 2017 will bring together practitioners and researchers from around the world to share information about simulation tools and applications and to discuss new developments. The conference will feature updates on new research to improve simulation capabilities for advanced low-energy building systems, case studies from successful projects that demonstrate the key role that simulation plays, and ongoing efforts to enable compliance and building rating software to support energy efficient systems. Sava Centar, Belgrade, 3 – 5. December 2014.
and future generations in the whole world – is increasingly important and respect worthy. Integrated design and construction of sustainable healthy buildings and energy refurbishment of the exising urban building sector in order to achieve sustainability and adaptability of urban systems to climate change will be the main and integral topic of the congress. 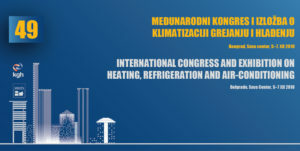 Since the integrated approach implies that from the very first moment of the architectural-conceptual consideration, and approach to the design, an essentially close communication is established between urban planners and architects, civil engineers, HVAC&R engineers and other mechanical engineers, electrical and electronics engineers, environmentalists, ICT professionals and others, this year’s HVAC&R CONGRESS IS INVITING ALL THE PROFESSIONS OF BUILDING CONSTRUCTION ENGINEERING AND BUILDING AND MUNICIPAL SERVICES to make a huge step forward, in an interdisciplinary and multidisciplinary dialogue, in their approach to realize a DREAM – CONSTRUCTION OF SUSTAINABLE HEALTHY BUILDINGS AND ZERO CO2 EMISSION SETTLEMENTS AND CITIES. BEYOND THYE VISION – Monitoring – balancing energy flows and energy efficiency of solar houses of the 2014 Solar Decathlon held in Paris showed that all 20 houses achived impressive energy balance (generating 2 – 4 times more electricity than using and sending surplus to the GRID) connected in the Schneider’s SMART GRID. This entry was posted in Events, News on August 19, 2014 by admin. The organizer of the Belgrade’s HVAC&R Congresses (organizer – Society for Heating, Refrigerating and Air-Conditioning of the Union of Mechanical and Electrical Engineers and Technicians of Serbia, www.smeits.rs, www.kgh-hvac.org, office@smeits.rs), since its first years of organization was accompanied with the exhibitions of products, new technologies, equipment and successful practice as an inherent part of the congress. This was always an opportunity for all participants to be at the same time and same place – meeting architects, designers, producers, scientists, representatives of companies – all dedicated to the HVAC and Buildings systems advancement. New IT – Green exhibition part – Exhibition of Software, Information Technology and Green Programs and Networks as a special segment of the exhibition devoted to software has been for the first time organized within the 41st HVAC Congress in 2010. It was displayed, with an intention to be an integral part of the Congress and the accompanying exhibition permanently, due to the fact that the role of software and IT has become irreplaceable in all scientific and professional fields of HVAC&R. Well positioned guide marks made it easy for the congress attendees to find a well- organized area of this “Green IT Exhibition”. Its stand layout were created in a very dexterous and imaginative manner, leaving the central part open for communication, while the remaining part was formed as a small sitting area intended for program demonstrations, consultations and meetings. 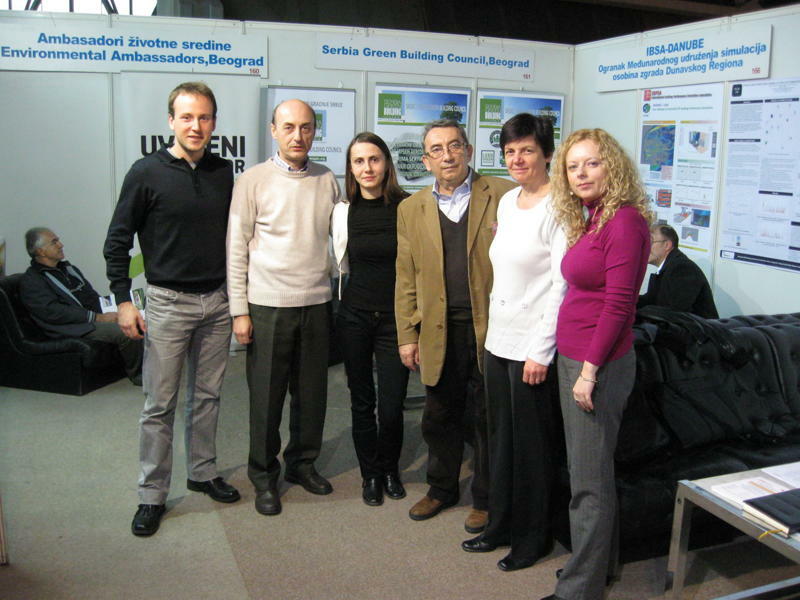 The idea for this new exhibition program was born in October 2010, during the first conference on Building Performance Simulation in Belgrade, which had been held on the occasion of the foundation of the Danube Regional Chapter of the IBPSA – Danube under the auspices of SMEITS, the Society for Heating, Refrigerating and Air-Conditioning. IBPSA – Danube was the main exhibitor, and was a huge success, thus confirming that software and IT, along with green programs and networks and that their diligent creators, deserve special attention and special program within the HVCA&R congress. The role of Green Programs and Networks became increasingly important and it may become a key factor in information transfer and education of investors and users, i.e. in the recognition and distinction of exemplary valuable solutions, thus contributing to spreading applications of HVCA&R energy efficient, environmentally clean and sustainable systems – „Sustainable Green Buildings”. The HVAC&R congress was the first meeting of the newly established IBPSA Danube with the wide audience of their colleagues, mechanical engineers. The reactions during that meeting were positive. Four conference days passed in alternating discussions at the IBPSA stand. 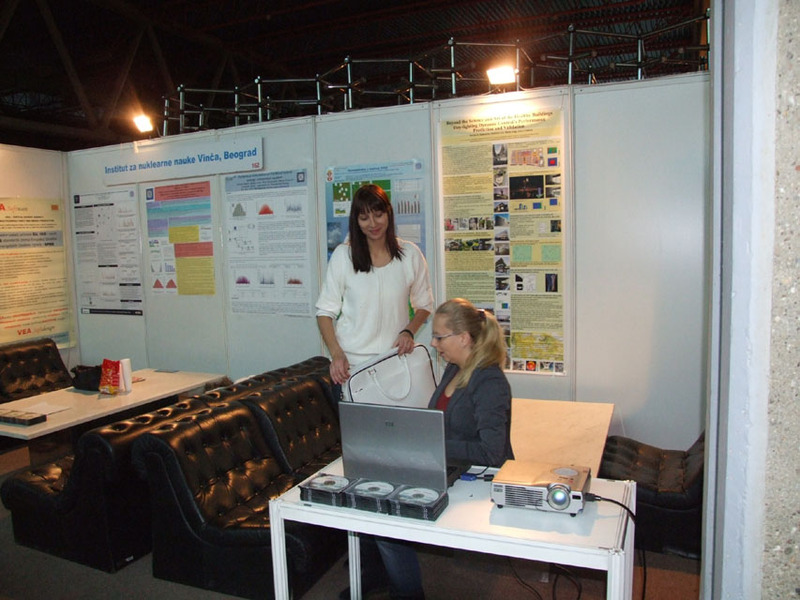 Satisfaction was mutual and IBPSA-Danube participated also at the Second (2011) and third (2012) Exhibition of Software, Information Technology and Green Programs and Networks. In addition to the presentation of the Association program and activities, at all three meetings, the discussions on cooperation between mechanical engineers and architects were of special importance. These discussions resulted in positive energy and elimination of stereotypes. The events ended in exchanging cooperation offers and desire to stay in touch in order to continue discussions and knowledge exchange. 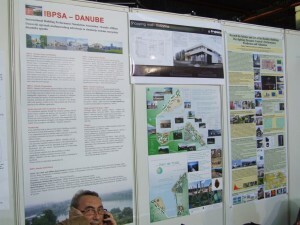 Numerous contacts were established, and as a result the IBPSA – Danube admitted more than 100 new members. 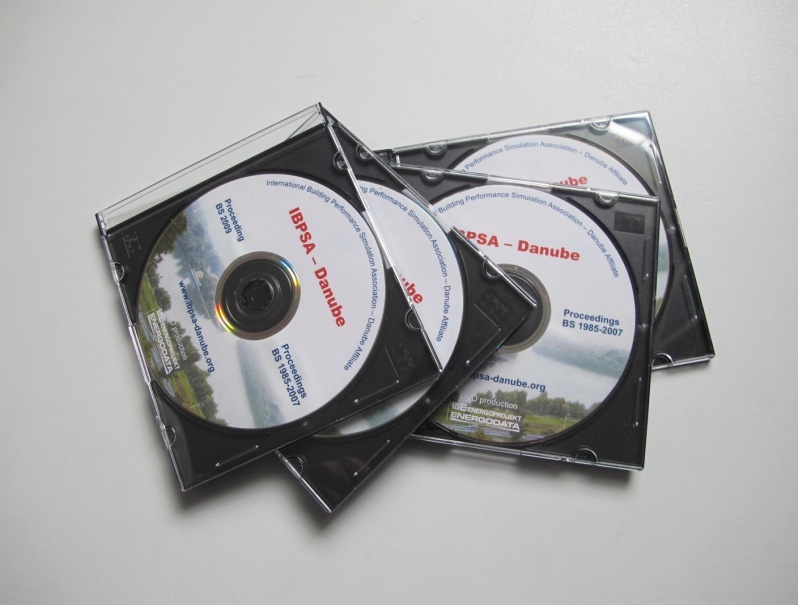 At the Exhibition in 2011 IBPSA-Danube prepared and distributed CD-s with all earlier IBPSA Conferences papers (CD production was the donation of Energoprojekt Entel company., Belgrade, which became the first Corporate member of the IBPSA-Danube. In 2012 at the HVAC&R Green Exhibition IBPSA_Danube was for the third time present, and the Chamber of Commerce from Belrade for the first time – celebrating at the exhibition closure great success. 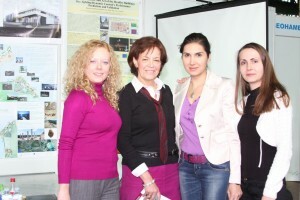 Thus, the Green Exhibition 2012 was marked as the year with starting Green Exhibition’s commercialization. The beginning of commercialization was marked by the appearance of one of the leading software companies, “Bentley”, whose presentation and distribution of advertising publications was especially greeted by students and young engineers. University of Belgrade students were award winner of the ASHRAE student design competition (category ISBD in 2012). Owing to the excellent use of BPS software EnergyPlus and the skills regarding simulations using EnergyPlus and CFD, the Danube Chapter won an award for the third time, at the annual meeting of ASHRAE held in San Antonio, for Integrated Sustainable Building Design, the student competition category introduced in 2009 as a new category. At the ASHRAE 2012 competition 47 universities participated in three categories (HVAC–System Design, HVAC-System Selection, and ISBD – Integrated Sustainable Building Design). This entry was posted in News on August 2, 2013 by admin.